There are no keys but a key card that you use to open the front door as well as the apartment door, like in a hotel. 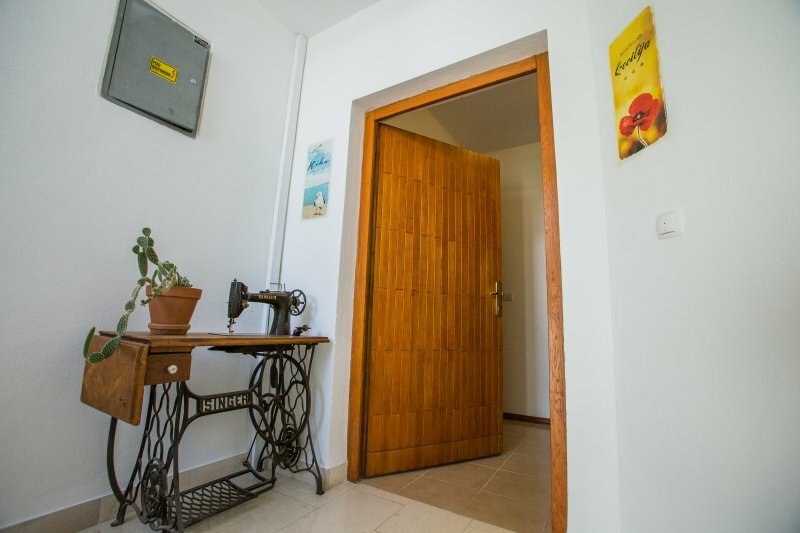 I will welcome you to the apartment, show you around and give you the keycards. 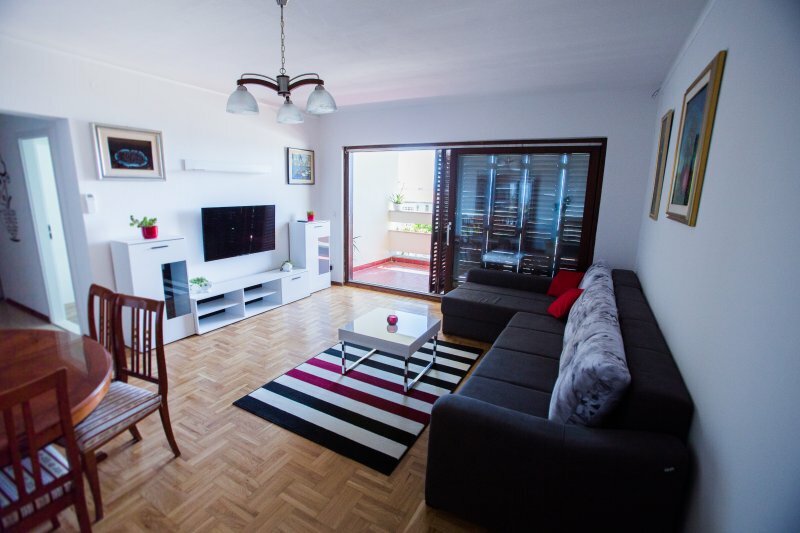 I live in the apartment on the first floor of the house so I am there for you at all time, you can message or call me at any time with any questions about the apartment, Split, destinations, restaurants, anything.. Thank you very much for such nice words! Thank you for such a lovely review, it means a lot. 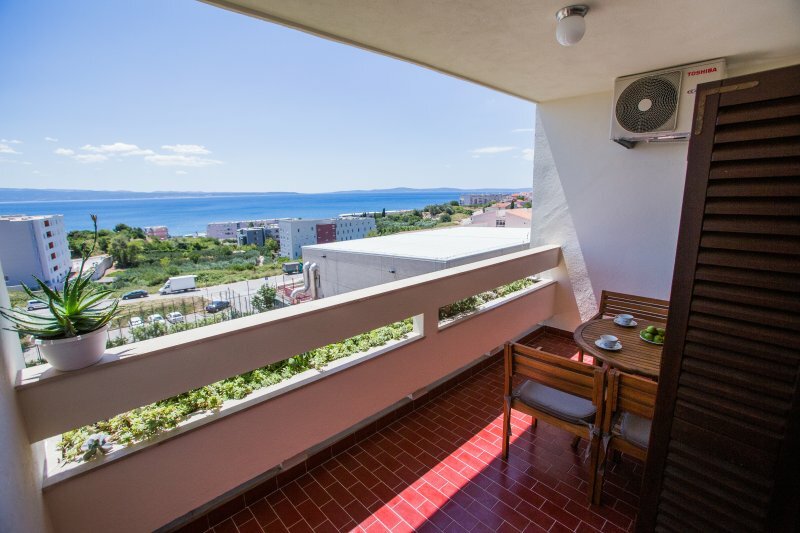 I would love to host your stay in Split any time! Trstenik/Križine is a very peaceful place with a lovely community and people. Most popular beach in Split, the Žnjan beach is a 5 minute walk from the apartment. Nearest grocery store is 200 meters away and an ATM right next to it, there are a few nice restaurants near including a famous one that serves traditional Dalmatian food as well as excellent pizzas (only cc 400 meters from the apartment). You can also find a lot of coffee shops around, a big playground right in front, spa center and a lot more. Basically everything you need is in a walking distance of max 10 minutes. A pleasant walk along the coastline will take you to the Bačvice beach and also the city center, which features some of the most popular night clubs in Split. Everything you need to relax and enjoy is in walking distance, the beach, stores, bars etc. Splits center is a 10 minute drive, by care or by taxi, the bus will take a bit more, 15 min. There is a bus station really close to the apartment, 200m away. Split is a small city, you will spent most of your time on the beach relaxing so transport is never an issue.